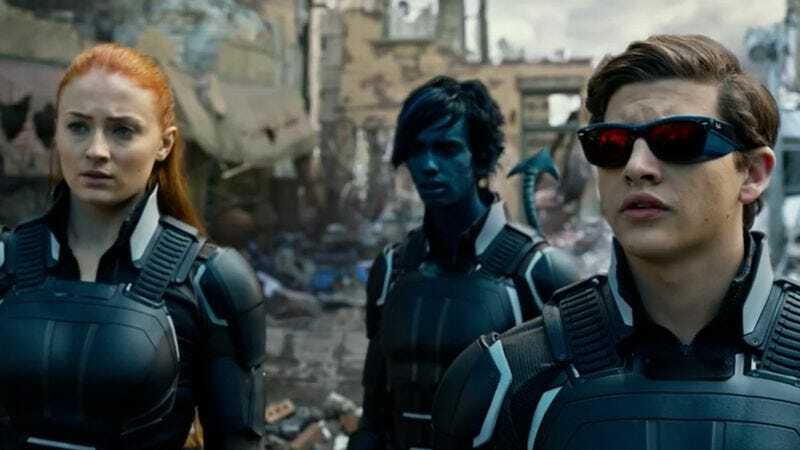 X-Men: Apocalypse comes out May 27, at which point you can enjoy the ’80s-set antics of Marvel’s mutant superheroes, which probably involve solving a Rubik’s Cube really fast and inserting themselves into the Iran-Contra scandal. And if you’ve paid even the slightest attention to the franchise—or read our newswire from last week—you know the next installment will be set in the ’90s, as per the tradition of each film since First Class being set in a subsequent decade. But, along with the world’s quantum physicists, fans of the X-Men won’t settle for just time—they need space defined, as well. And now, director Bryan Singer is obliging everyone on that front, by suggesting the team will leave its home planet far behind in the next movie. Sorry, Krakoa, the living island—looks like you’re still benched for the foreseeable future. I imagine—and this is the first time I’ve actually answered the question this way—but another thing that’s been introduced in the comics is a big alien, interstellar tenant within the X-Men universe that hasn’t been explored. And to me, that might be kind of fun because I’m a huge Star Wars and Star Trek fan, and exploring the X-Men universe and being able to utilize that would be exciting, visually. There are certainly a plethora of stories to borrow from if the X-Men are going to space in the ’90s, however. It doesn’t have to be the Dark Phoenix saga: It could be the “Unstoppable” arc from Joss Whedon’s Astonishing X-Men run, where they travel to the Breakworld. Or maybe it’s that time they journeyed to the stars to fight the techno-organic aliens known as The Phalanx. One thing is certain: Earthbound baddies like Forearm, a.k.a. the menacing villain with, um, a really big extra pair of arms, will have to spend the film on the sidelines, moping around the third planet from the sun.